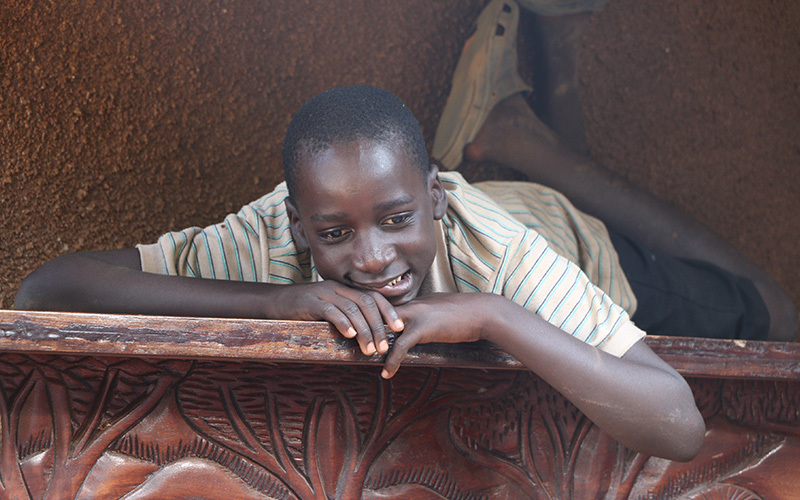 On December 20, 2005, exactly one week after Malayaka was born, the police in Entebbe contacted Robert to see if he could visit a child that had been abandoned and was in need of medical attention. Nothing was known about the boy’s past, but it was obvious he had been starved, neglected, and abused. He could sit and lay down but that was it. No expression…no tears…no sound. Robert asked Bobo if he wanted to go with him and the child’s huge eyes said yes, so off they went to the hotel room where Malayaka was waiting. There were now two children in Robert’s care. 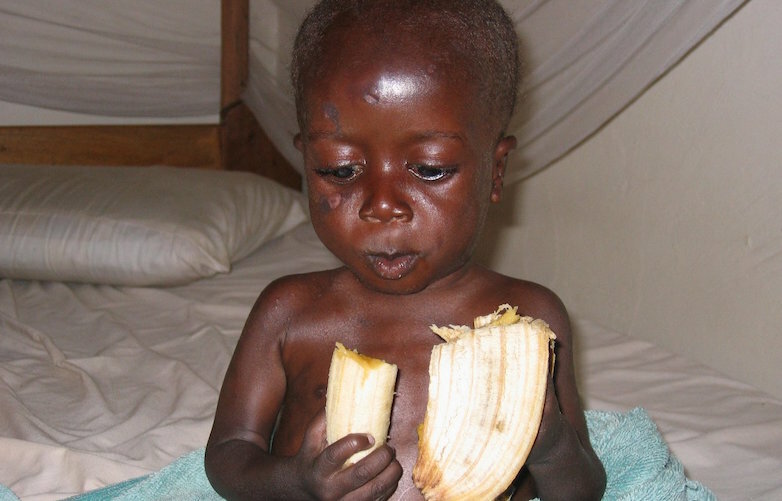 Bobo was about 2 ½ years old and weighed less than 10 pounds. 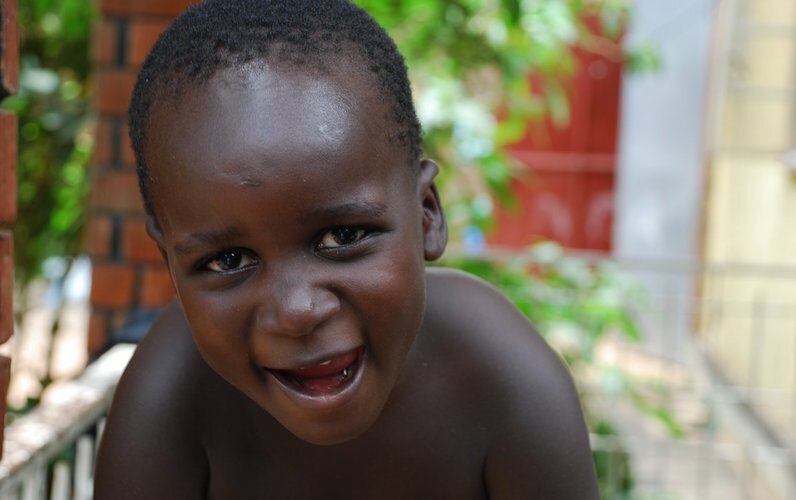 He had a broken femur, broken arm, severe malnutrition, and burns and cuts on his face and body. From the very beginning Uncle Robert and Bobo were connected and became the best of friends. 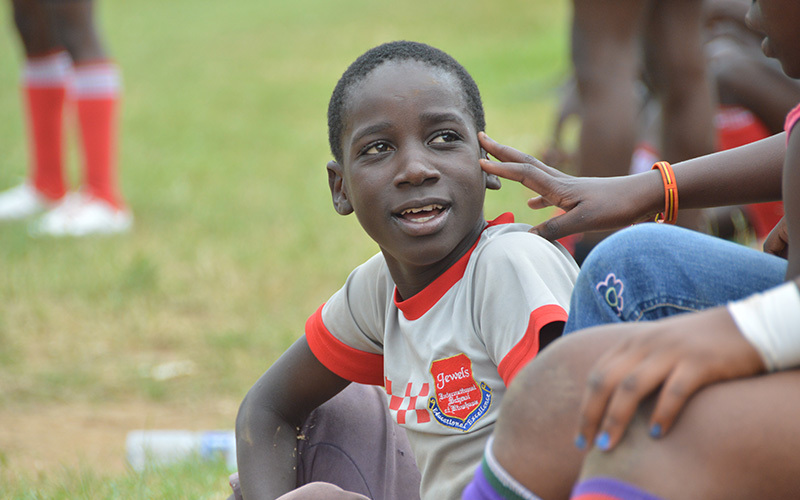 Even in his pain Bobo was bright and cheerful and determined to recover. He ate everything in his path and quickly started putting on weight. Uncle Robert and Bobo began visiting pediatricians, orthopedic surgeons, and physical therapists, all of whom warned that the child had little chance of survival. Fortunately, they were wrong! 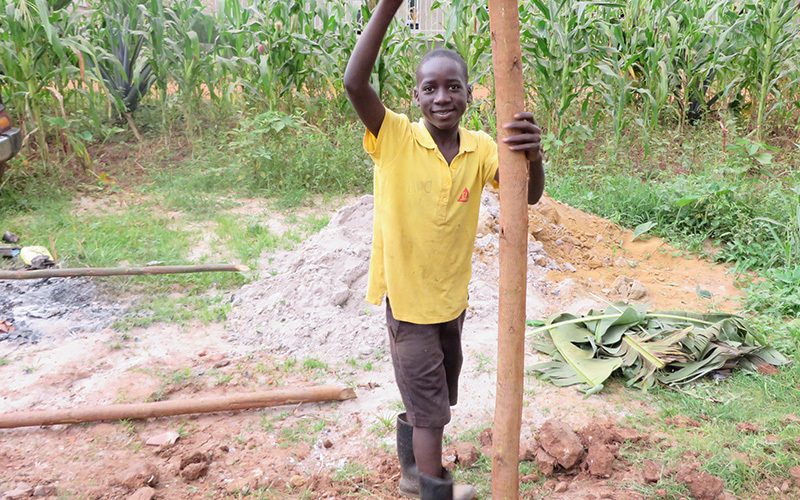 Robert eventually found a doctor who created a plan for repairing and restoring Bobo to health and a physical therapist who crafted a brace that Bobo wore 23 hours a day for 8 weeks. Amazingly the brace worked and Bobo’s leg and arm healed perfectly! It was nothing less than a miracle. 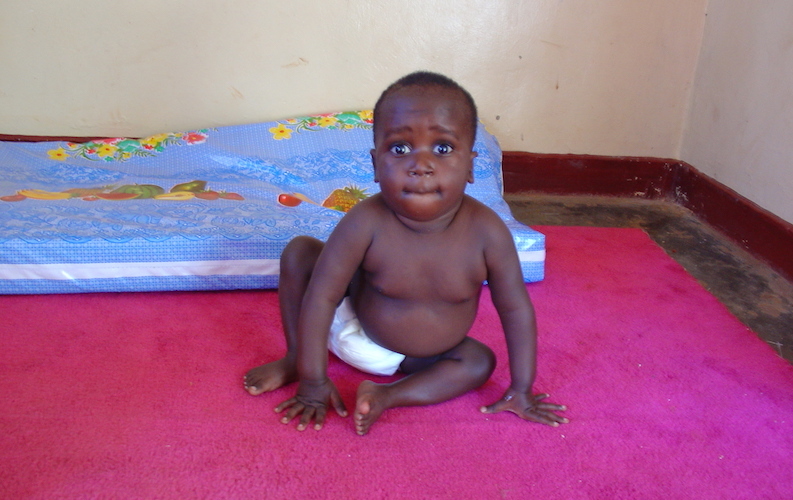 He started to scoot himself around, one day he was standing, and gradually Bobo began to walk. It is not possible to come across a more pleasant human being. Bobo wears a smile from the beginning of the day to the end. His laugh fills everyone with joy. He is respectful of the Aunties and the other children, and highly sensitive to anyone hurting or feeling bad. His gentleness and kindness extends to our many animals and all living things. Always involved and the center of attention, Bobo loves to work and to be given responsibility. He is happiest working alongside Tonny or Hakim, and is a quick learner – focused, and thorough. 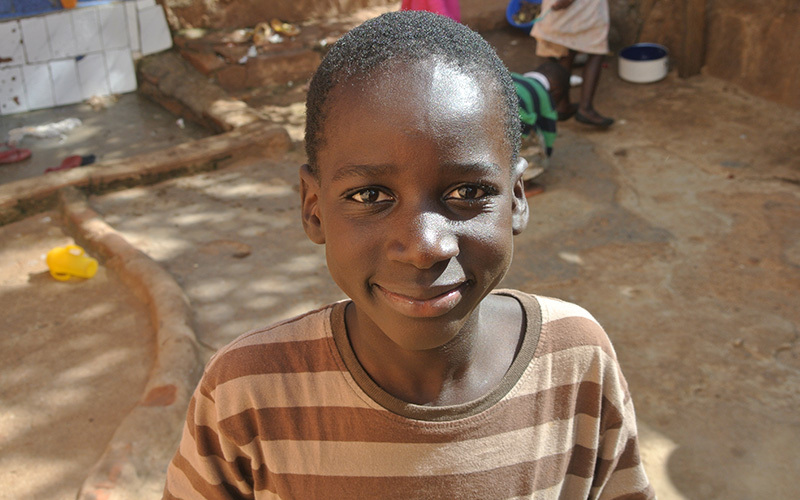 Sitting still in class is hard for Bobo, but he tries hard and is improving with each day. He loves school, has many friends and is always the first one in the school van. 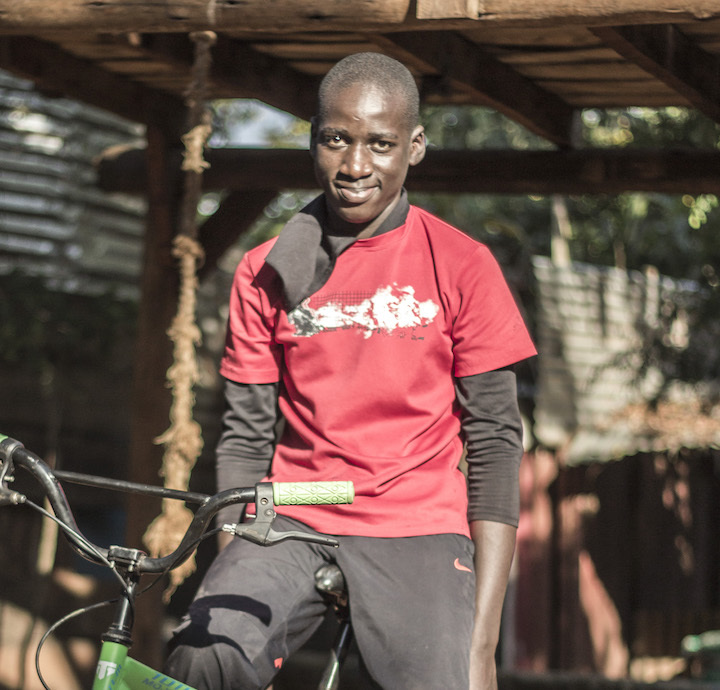 Bobo’s life is a miracle and a blessing to everyone who crosses his path. The officer who called Robert to rescue this child is filled with tears every time she visits. She often wonders how this happened, and how a child who has seen so much of the world could be as joyful and free as Bobo. Bobo is in Primary now. We home-schooled him in 2014 because he was struggling with reading and concentration. In a short time, however, he gained a lot of self-esteem. Bobo quickly improved in both reading and concentration. 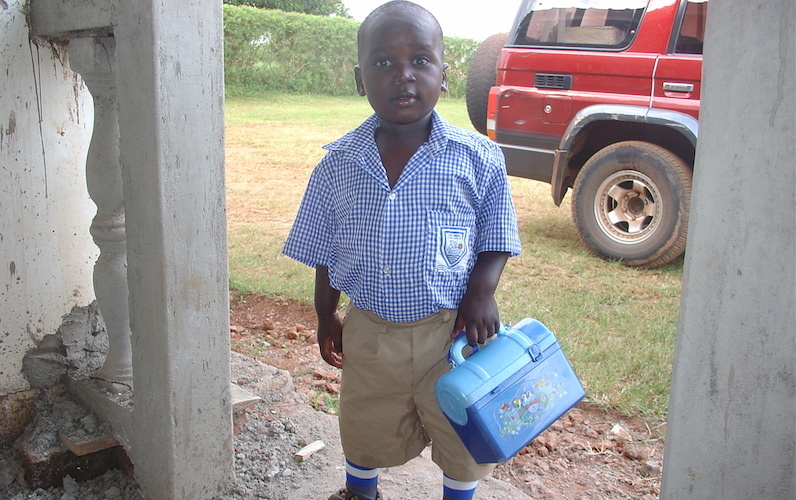 Once we felt he had caught up to his peers, we re-enrolled him in school. He is happy to be back, and is doing remarkably well.